Cathula + Tipclip - Hindustan Syringes & Medical Devices Ltd.
As part of your job and your passion, you care for hundreds of patients every day. Doctor, nurses and medical staff are depended upon in time of need. As a health professional you can now depend upon someone as well. As per WHO, among the 35 million health professionals worldwide, about 3 million receive percutaneous exposures to blood borne pathogens each year. 90% of these infections occur in developing countries. A protection device TIPCLIP enacapsulates the tip of the used needle when introducer needle is extracted from the Catheter; Post Cannulation. 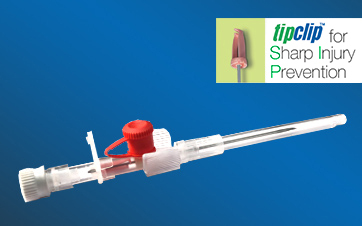 TIPCLIP prevents accidental needle stick injury provided that general effective and safe working procedures and precautions are maintained during its use and disposal. 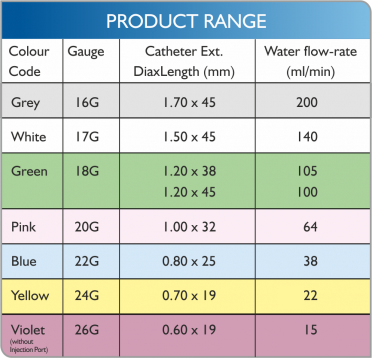 The hassel-free and auto protection technology of Cathula+ I.V.Cannula is designed to provide Involuntary Activated Safety an intuitive mechanism that requires no additional training of the health staff and strives to make I.V. insertion and introducer needle exraction compeletly safe. Siliconised electropolished, back cut bevelled stainless steel needle. * With notch on 24G & 26G Cannula. Available in FEP ( fluro Ethylene Propylene). Allows blood flash back visualisation. Thumb rest for proper grip during insertion. * Also available in VOLEX brands. * Conform to : ISO 10555-1 & ISO 10555-5 standards.